A mini mandolin for garlic. One side slices, the other side shreds. 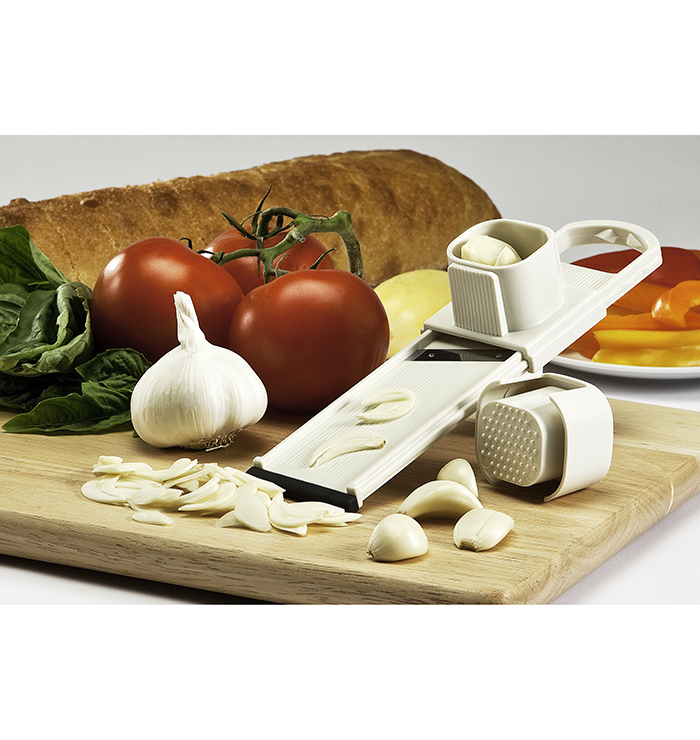 The handle has a hand protector which tightly grips the garlic for safe slicing/shredding. 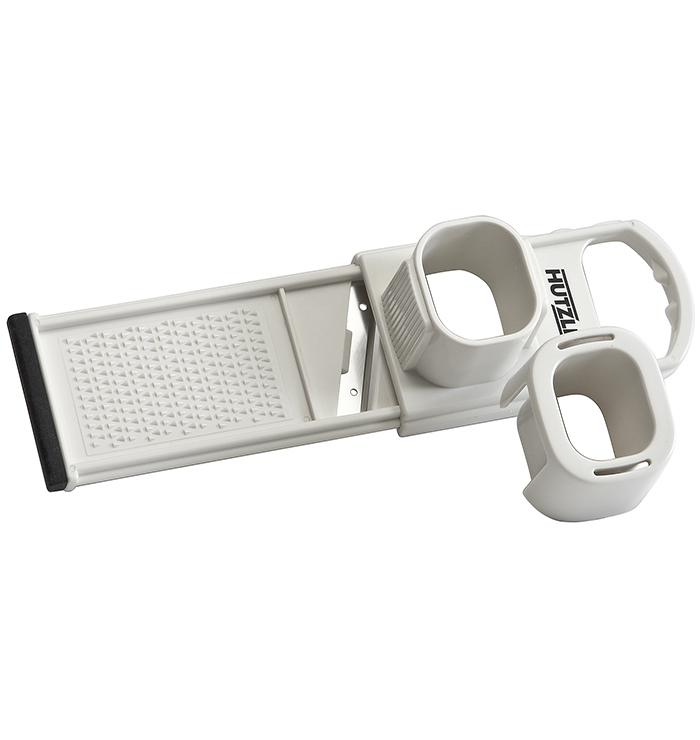 Features a rubber non-slip base. Dishwasher safe. Length: 9", width: 2.4", height: 1.78.